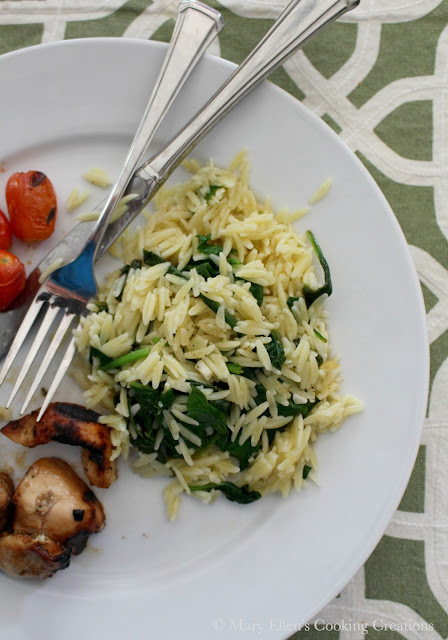 A quick and easy side dish - orzo with bright and zesty lemon, fresh garlic, and baby spinach. This side dish is light and summery but satisfies that pasta craving. Orzo also reminds me a lot of risotto, but without the time or labor. 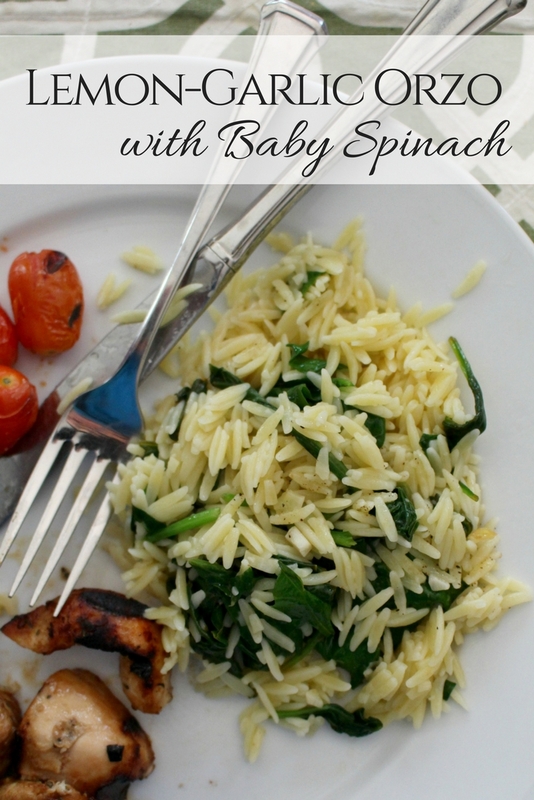 I served this lemon-garlic orzo with baby spinach alongside grilled chicken. I love when I only need to make one dish inside and Jon can be grilling the rest outside. Easy prep and super easy cleanup. In the meantime, heat the butter and oil in a large saute pan over medium heat. Add in the lemon juice and rind. 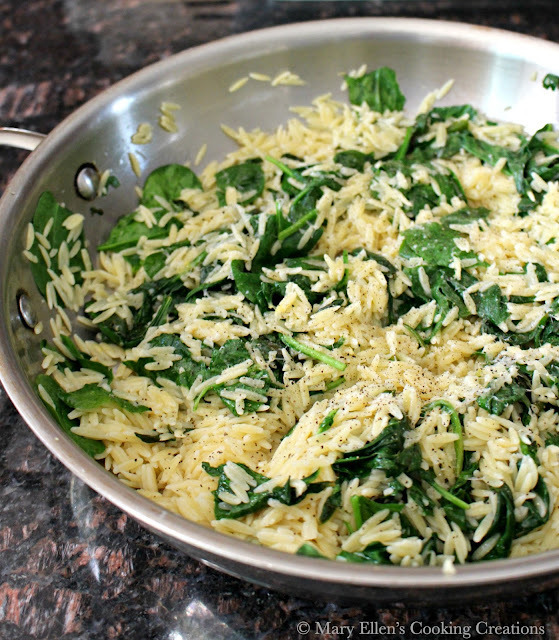 Toss in the orzo and stir in the spinach. Season with salt and pepper to taste and top with some freshly grated Parmesan cheese. Yum!! I'll add this to the list of sides I need to make!